“Are you a park ranger?” IPS asked. “No, I am one of the owners of the territory,” Ángel Durán responded in a firm voice. 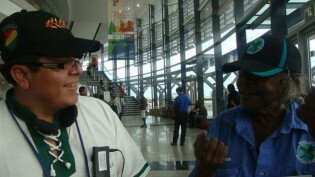 The Bolivian indigenous leader is in this northern Australian city along with 1,200 other native delegates from over 50 countries for the World Indigenous Network (WIN) conference.